Nanda Vigo, Mitteleuropea nata a Milano, Liceo artistico di Milano, laureata all'Istituto Politecnique di Lausanne, trayng in S. Francisco. Dal '59 inizia ad esporre le sue opere in gallerie e musei, in Europa e in Italia (più di 400 mostre collettive e personali). Ha fatto parte del Gruppo Zero, del Gruppo Aktuel e del Gruppo Light und Bewegung di Berna. 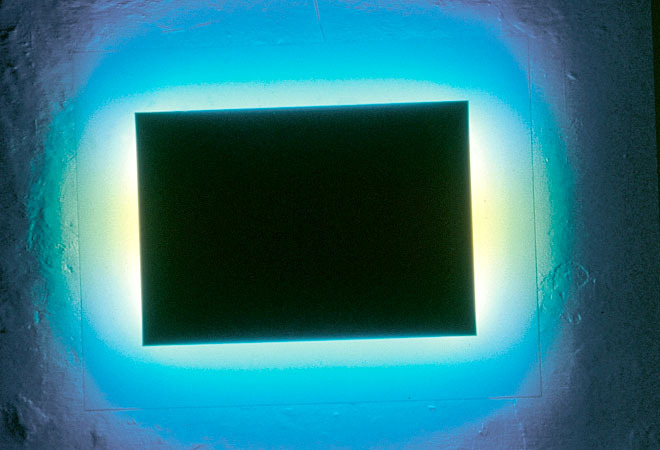 Ha collaborato con Gio Ponti, Lucio Fontana e Piero Manzoni. 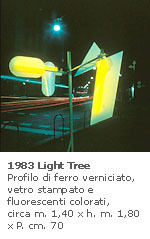 Ha partecipato alla XIII Triennale del '64, alla XV del '73 e alla 40a Biennale di Venezia dell'82. Tra i premi conseguiti: 1971 Award New York Industrial Design (Lampada Golden Gate); 1976 1° Premio St. Gobain per il design. Opera con un rapporto interdisciplianare tra Arte, Design, Architettura, Ambiente. Ha insegnato all'Istituto Politechnique di Lausanna, all'Accademia di Macerata e all'Istituto Europeo del Design a Milano. 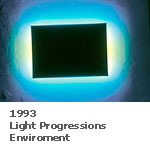 1999 Master Lightin Design all'Accademia di Brera di Milano. Lavora a Milano e vive in East Africa. Nanda Vigo, Mittelleuropean born in Milan, graduate at Politecnique in Lausanne, trayng in S. Francisco. She open her own atelier in Milan in '59, and start to exebit in many gallery and Museum in Europe and in Italy. She went towards the 60's, with the support of experience obtained as an arc hitect and designer, at formulating a cronotopical theory space/time completely original and autonomous in art. Since than, here presence has been constant in the mids of the most advanced aesthetical research (Zero Group, Aktuel Group, Light und Bewegung) with the precise intent of probing, deepening, the possibilities of sensorial stimuli obtained by the use of materials which are typical of industry, such as glass, mirrors, neon light organized in a uniting and co-involving spatiality. 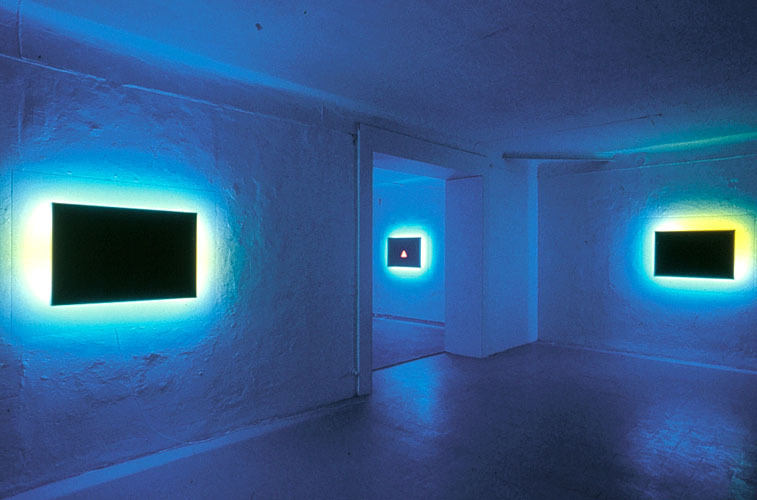 She collaborate with Gio Ponti, Lucio Fontana and Piero Manzoni. 1964 Milano XIII Triennale; 1983 Milano XV Triennale; 1982 Venezia 40a Biennale. 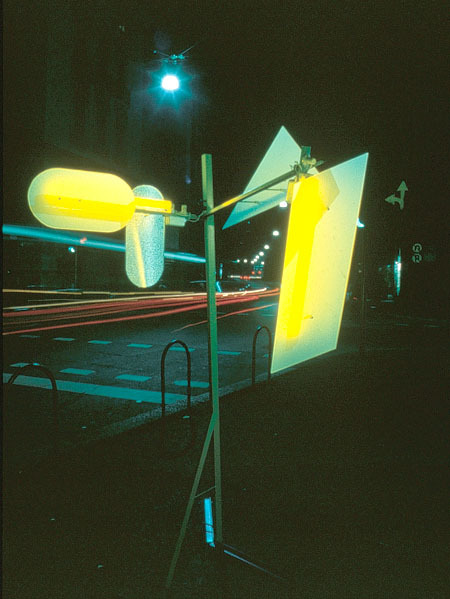 Awards: 1971 New York Award of Industrial Design; 1976 Milano 1° Award S. Gobain for Industrial Design. She has taught the Politechnique Institute of Lausanna, to the Accademy of Macerata, and to the European Institute of the Design of Milano. 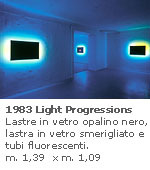 1999 Master Lightin Desig Accademy of Brera, Milano. Atelier in Milan, she leave in East Africa.